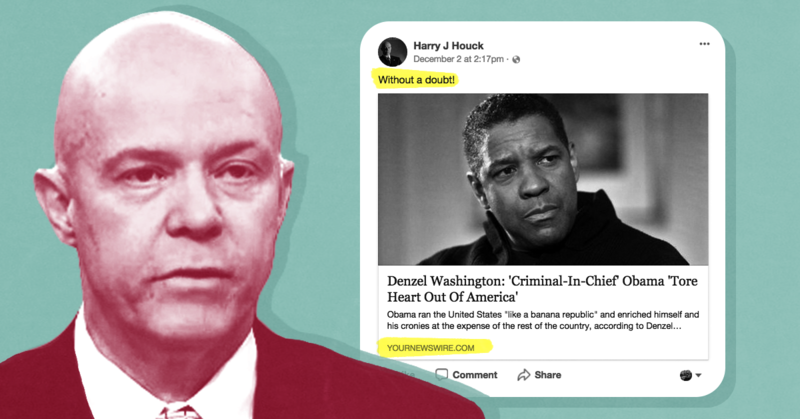 CNN analyst Harry Houck shared a fake news story which fabricated quotes from Denzel Washington attacking former President Barack Obama as the “criminal-in-chief” and claiming CNN isn’t “discussing the facts.” Washington’s publicist confirmed to Media Matters that the actor never made the remarks. 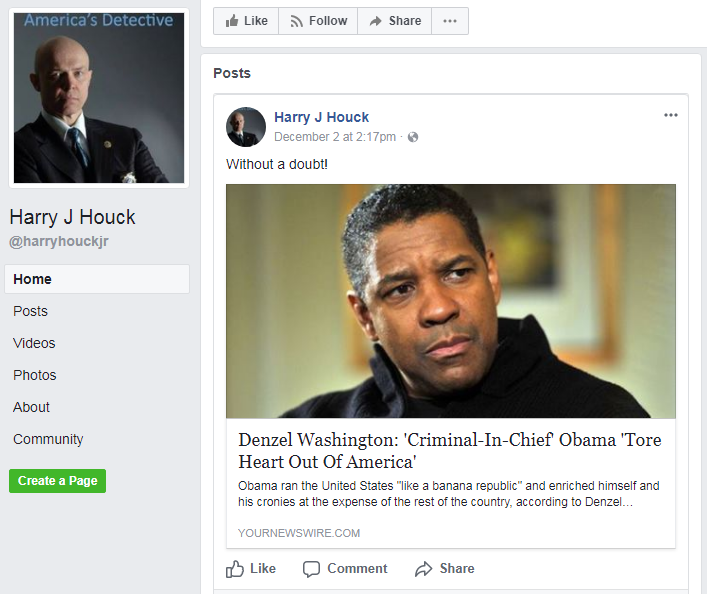 Houck is a retired detective who now works  as a CNN law enforcement analyst . He has a long  history  of race-baiting commentary  and regularly blames the victims of police brutality. He also uses his CNN platform to peddle  racist tropes about black criminality. YourNewsWire is a fake news website that posts  made-up stories  and fabricates quotes . Houck’s employer CNN has reported  that the site isn’t reputable: Media reporter Brian Stelter wrote last year that the “dubious site … publishes a mix of true, slanted and made-up news.” Analysts have criticized  YourNewsWire for being  used as a proxy by Russians for spreading disinformation. The fake Denzel Washington story has been shared over 48,000 times combined on Facebook, Linkedin, and Twitter so far, according to the social media analytics website BuzzSumo. Fake news websites spread  made-up stories  about Washington switching his support to Donald Trump last year. CNN did not immediately reply to a request for comment.